Essex & South Suffolk Community Rail Partnership supported the project Words between the Lines which took place Tuesday the 26th March pupils from Harwich Community Primary School writing poems on the train. Working with Anita with funding from Wordsart (a group of artists who display their artwork at Dovercourt Station) pupils were given idea’s to explore their creativity and working within the school curriculum. The pupils were visited a few weeks ago by Terri and Lynda who provided rail safety awareness which was fully reinforced this morning on the train. 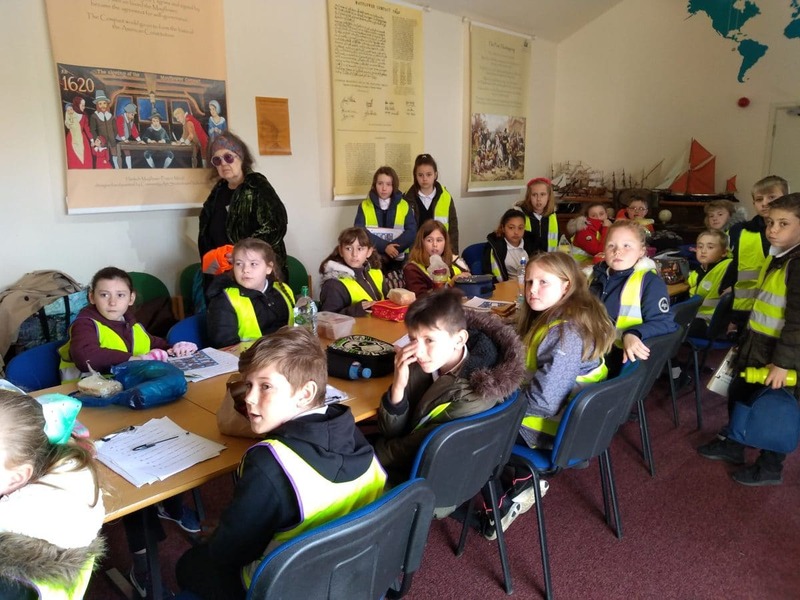 The pupils travelled on the train from Harwich Town to Maningtree Station where their normal classroom was replaced by the waiting room, lots of ideas were voiced around what they had seen on the train and at both of the stations. The day was full with positive and exciting experiences for all the pupils and teachers and hopefully passengers of the future! The day continued with the pupils attending the visitors centre at The Mayflower Project and the Museum. The pupils were going to finish the day creating pictures for Essex & South Suffolk Community Rail Partnership to blow up and display along the Mayflower Line.